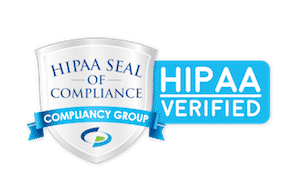 Integ is committed to assisting clients to comply with the HIPAA Regulations and ensuring that our services comply with each of the HIPAA regulation standards. Standardization of electronic patient health, administrative and financial data. Unique health identifiers for individuals, employers, health plans and health care providers. Security and Privacy standards protecting the confidentiality and integrity of “individually identifiable health information,” past, present or future, (e.g. Encryption of data during transmission, Authentication and Verification of the sender and receiver). Who is affected by HIPAA? Although Integ does not fall into any of the above categories, as a provider of internet messaging services that handle patient data, HIPAA indirectly affects us. As a “business associate” of covered entities, our products must be able to HIPAA’s requirements. As an organization, our own security measures must comply with the law since we have the capability of storing, accessing and transmitting patient information. Integ is fully committed to complying with the regulations and for ensuring that our products are HIPAA compliant. Should you wish for more information or clarification on any HIPAA related issues that involve Integ, please do not hesitate to contact customer support. The PostalMethods system provides a full audit trail of messages submitted and sent through the system. This information is visible online and optionally in confirmations returned to the sender of a message. Integ accepts messages submitted to its systems in encrypted form, whether by SSL or signed email (PKI). Integ does not enable its customer service staff access to viewing patient-identifying content, and deletes messages with patient-identifying content immediately after their completion, based on a user-level Enhanced Security setting. Integ uses security methods to determine the identity of its users and operators so that appropriate rights and restrictions can be enforced for that user. PostalMethods uses both password protection and usernames in its authentication process. All Integ servers are housed in secure environments, which can be accessed by approved personnel only. PostalMethods enables SSL-secured communication to its Web Service servers via https://api.postalmethods.com, so that potentially patient-identifying information can be submitted securely for sending. This setting may be selected through your user security preferences. It is intended to keep patient-identifying information on our servers no longer than is necessary to send a message or to announce its failure (several minutes). When this feature is set, images of letters sent through the service, as well as precursor and temporary files, will immediately be deleted from our servers upon completion. Verify that patient-identifying information is only present in the body of an outgoing letter. All other parts of a transaction are retained indefinitely for billing and archival purposes. Since PostalMethods does not address HIPAA requirements in the handling of its long-term archives, patient-identifying information must not reside anywhere except in the letter body itself. At clients’ request, PostalMethods will agree to enter into a “Business Associate” contract, a sample of which can be viewed on the U.S. Department of Health & Human Services. You can be sure with PostalMethods, that your information remains safe with our HIPAA compliant online mail service.